"Bates security has been great!" Bates security has been great! From installing to monitoring, I have no complaints. They even called ME to let me know my cameras were not working. I had no idea! If I have a question, my call gets answered right away and they are always extremely polite. Scott even comes out to my office to make sure everything is going well. Highly recommend! Lauren C.
"What is great about this company is how they treat you after the sale"
As an IT professional I often work with customers and clients who need to install security systems in their homes and offices, and every time they ask for my recommendation I recommend Bates Security. Scott Green is very enthusiastic about security and I appreciate his attention to detail in every step of the security system. 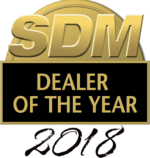 What is great about this company is how they treat you after the sale - they will manage your security for you and keep checking that everything is working properly. Glenn G.
"Great product, price, and customer service"
Bates did our access and security systems. Couldn't be happier. GREAT PRODUCT, PRICE, and CUSTOMER SERVICE. Before AND after the sale. Highly recommend. Jillian H.